When I just think about this recipe, my mouth starts to water. My kids recently made these sweet tarts when they had a mini baking competition in our kitchen so it really isn’t too hard (although I used to think it would be). They filled pie crusts with homemade lemon curd, topped it with these zested berries, and served it with whipped cream. It was sweet and tart and I think I need to go make some more lemon curd to serve with a big bowl of berries right now – who needs a crust! 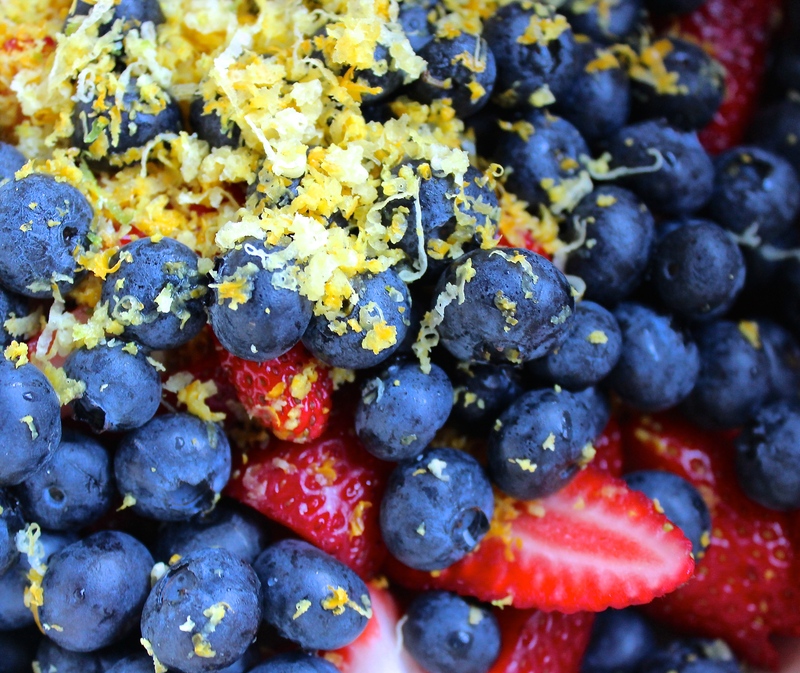 Mix the berries with one tablespoon of zest. Combine remaining 2 tablespoons of zest, juice, sugar, eggs, and salt in a double boiler. Cook over low heat until combined, whisking constantly. Add butter and continue to whisk until curd is thick enough that it sticks to a spoon (about 10 minutes). Pour into prepared pie crusts, top with berries, and serve with whipped cream. On day 35 of this 365 day project, I ate my daily five (including a bowl full of fresh spinach). Did you enjoy yours?